Gameloft SE is a French video game publisher based in Paris, founded in December 1999 by Ubisoft co-founder Michel Guillemot. The company operates 19 development studios worldwide, and publishes games with a special focus on the mobile games market. Formerly a public company traded at the Paris Bourse, Gameloft was fully acquired by French media conglomerate Vivendi in 2016. Gameloft was founded by Michel Guillemot, one of the five founders of Ubisoft, on 14 December 1999. By February 2009, Gameloft had shipped over 200 million copies of their games since their IPO, as well as 2 million daily downloads of their games via the App Store for iOS. Gameloft's chief financial officer, Alexandre de Rochefort, noted that the company's games generated about 400 times more revenue on iOS than they do on Android, partially because Google did not develop their Google Play storefront to "entice customers to actually buy products", as a result of which Gameloft heavily cut their investments in Android games development in November 2009. In July 2010, Gameloft instead attempted to sell Android games directly through their website, avoiding the use of Google Play. In a May 2011 keynote, de Rochefort stated that he wanted to avoid moving the company to the NASDAQ stock exchange, as the U.S. games market appeared to be nothing more than a large economic bubble, especially when seeing Zynga's present US$10 billion total stock value. Gameloft's games have often been accused of being clones of other properties; when asked about it at the November 2011 Consumer Electronics Show, CEO Michel Guillemot stated "The videogame industry has always played around a limited number of themes. There is maybe one new idea a year." In response to many users commenting on Guillemot's remarks, Levi Buchanan of IGN defended Gameloft, stating that their games were usually well-polished, in contrary to the original concepts' games. In April 2013, Texan company Lodsys filed a lawsuit against Gameloft, among other mobile game developers, for infringing their patent on in-app purchases. Similar lawsuits were previously intervened by Apple Inc., who claim to have licensed the technology from Lodsys for usage in their App Store. In February 2012 and February 2016, Gameloft penned publishing contracts with GREE, Inc. and GungHo Online Entertainment, respectively, to facilitate their presence in the Asian market. In October 2015, French media conglomerate Vivendi announced that they had acquired a 6.2% stake in Gameloft's stock, which was quickly raised to 10.2% a few days later. By February 2016, Vivendi had acquired 30% in the company, and launched a hostile takeover bid. In accordance with French law, Vivendi started a tender offer to acquire further shares. The acquisition was completed on 1 June 2016, with Vivendi having acquired 56%, an absolute majority over Gameloft's ownership. Employees of Gameloft were presented with an open letter welcoming them to the new parent company's family. On 8 June, the Guillemot brothers announced that they were regretfully selling their ownship in Gameloft to Vivendi. The transaction awarded Vivendi another 21.7% in Gameloft's capital. After Guillemot departed from Gameloft on 29 June, Vivendi set up a new board of directors for the company, with Vivendi's present chief operating officer, Stéphane Roussel, appointed Gameloft's chairman and chief executive officer, and Gameloft's previous chief financial officer, de Rochefort, additionally taking over the management of the company's 39 subsidiaries. At that point, Vivendi owned 95.94% of Gameloft's share capital. Gameloft is headquartered in the fifth floor of 14 rue Auber, in the 9th arrondissement of Paris. Gameloft operates 19 video game development studios worldwide. In July 2011, Glenn Watson, lead programmer of Gameloft's Auckland offshoot, stated that the company's management created a "constant sense or urgency" at their studio, having employees regularly work 12- to 14-hour days. A new studio in New Orleans was opened in August 2011, taking of advantage of tax breaks granted by the government of Louisiana in July 2009 to establish 150 new jobs. On 29 January 2013, Gameloft's India studio in Hyderabad was closed midway through the workday, leaving 250 people unemployed. Between June and August 2015, Gameloft's Tokyo location made roughly 80 people, effectively being closed. Additionally, on 8 July 2015, all operations the company's New York City office were halted, and as many as 100 employees were laid off. Shortly after, in September 2015, Gameloft's Seattle studio was closed down and its 15 employees were let go. The studio was opened just a year prior to its closure. Seven studios were closed in total in 2015. Guillemot stated that these actions were taken to accommodate their "ambitious cost reduction program", instantiated after the company saw a net loss of €16.6 million in the fiscal year that ended on 30 June 2015. 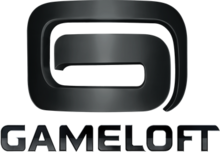 In January 2016, Gameloft opened a Nigerian marketing office for regional expansions, however, shut down its Auckland studio, firing roughly 160 employees. At the time, Gameloft Auckland was New Zealand's largest video game studio. Gameloft's Valencia, Spain location was shuttered in April 2016. In July 2017, Gameloft appointed John-Paul Burke as country manager for its subsidiaries in the United Kingdom and Ireland. ^ Buchanan, Levi (19 September 2005). "Mobile Luminaries: Michel Guillemot". ign.com. Retrieved 20 July 2018. ^ "GAMELOFT.COM: THE GLOBAL ONLINE ENTERTAINMENT PLATFORM". Ubisoft (Press release). 14 December 1999. Archived from the original on 2 March 2000. ^ Fahey, Mike. "Gameloft Moves 200 Million Mobile Games". kotaku.com. Retrieved 20 January 2018. ^ Crecente, Brian. "Gameloft Sells 2M iPhone Games". kotaku.com. Retrieved 20 January 2018. ^ Crecente, Brian. "Gameloft Sells More than 20 Million Games on App Store". kotaku.com. Retrieved 20 January 2018. ^ Gibson, Ellie (23 November 2009). "Gameloft slashes Android investment". eurogamer.net. Retrieved 20 January 2018. ^ "Gameloft cuts Android investment, claims others will follow". gamesindustry.biz. Retrieved 20 January 2018. ^ "Gameloft Sidesteps Android Market for Mobile Assassin's Creed, HAWX". wired.com. Retrieved 20 January 2018. ^ Orland, Kyle. "Gameloft CFO Warns Of Social Gaming 'Bubble'". gamasutra.com. Retrieved 20 January 2018. ^ McWhertor, Michael. "So, Is This Your Legend of Zelda Rip-off, Gameloft?". kotaku.com. Retrieved 20 January 2018. ^ Fahey, Mike. "Is This Gameloft's Team Fortress 2 or Battlefield Heroes?". kotaku.com. Retrieved 20 January 2018. ^ "Gameloft's 'GTA'-like 'Gangstar Vegas' Hits the App Store – TouchArcade". toucharcade.com. Retrieved 20 January 2018. ^ Fahey, Mike. "Gameloft Shows Off Impressive New Grand Theft Auto And Diablo Clones". kotaku.com. Retrieved 20 January 2018. ^ Dutton, Fred (11 January 2011). "Gameloft answers game cloning charge". eurogamer.net. Retrieved 20 January 2018. ^ Buchanan, Levi (10 January 2011). "Guillemot's Goal: Gameloft on Every Screen". ign.com. Retrieved 20 January 2018. ^ Buchanan, Levi (3 December 2010). "Editorial: In Defense of Gameloft". ign.com. Retrieved 20 January 2018. ^ "Gameloft pushing quality over quantity". gamesindustry.biz. Retrieved 20 January 2018. ^ "Patent troll Lodsys sues mobile game makers, despite Apple's intervention". arstechnica.com. Retrieved 20 January 2018. ^ emilygera (9 April 2013). "Patent troll Lodsys sues Gameloft and Disney for use of in-app purchases". Polygon. Retrieved 20 January 2018. ^ "Gree secures publishing deals with Gameloft and Ubisoft". gamesindustry.biz. Retrieved 20 January 2018. ^ Kerr, Chris. "Gameloft and GungHo strike up new mobile partnership". gamasutra.com. Retrieved 20 January 2018. ^ Nutt, Christian. "Former Activision owner Vivendi takes stakes in Ubisoft, Gameloft". gamasutra.com. Retrieved 20 January 2018. ^ Nutt, Christian. "Vivendi ups its stakes in Ubisoft and Gameloft, may buy more stock". gamasutra.com. Retrieved 20 January 2018. ^ "Vivendi in process of mandatory takeover bid for Gameloft". gamesindustry.biz. Retrieved 20 January 2018. ^ Hall, Charlie (25 February 2016). "Report: Ubisoft seeking investors to defend against Vivendi takeover". Polygon. Retrieved 20 January 2018. ^ Kerr, Chris. "Vivendi ups stakes in Gameloft, begins mandatory takeover". gamasutra.com. Retrieved 20 January 2018. ^ "Gameloft board advises against selling stock to Vivendi". gamesindustry.biz. Retrieved 20 January 2018. ^ Frank, Allegra (27 May 2016). "Report: Vivendi moving ahead with 'hostile takeover' of Gameloft (update)". Polygon. Retrieved 20 January 2018. ^ "Vivendi edges closer to Ubisoft with hostile Gameloft takeover". pcgamer.com. Retrieved 20 January 2018. ^ Schreier, Jason. "Vivendi Takes Over Gameloft, Eyes Ubisoft Next". kotaku.com. Retrieved 20 January 2018. ^ Kerr, Chris. "Vivendi succeeds in hostile Gameloft takeover". gamasutra.com. Retrieved 20 January 2018. ^ "Vivendi sends letter to welcome Gameloft employees to their new job". destructoid.com. Retrieved 20 January 2018. ^ Porter, Matt (2 June 2016). "Vivendi Could Take Over Ubisoft After Acquiring Gameloft". ign.com. Retrieved 20 January 2018. ^ Matulef, Jeffrey (2 June 2016). "Vivendi has seized control of Guillemot brothers' mobile publisher Gameloft". eurogamer.net. Retrieved 20 January 2018. ^ Pereira, Chris (3 June 2016). "As Ubisoft Worries About a Takeover, Gameloft CEO Addresses His Company's Future". gamespot.com. Retrieved 20 January 2018. ^ Francis, Bryant. "Report: Gameloft CEO stepping down after Vivendi takeover". gamasutra.com. Retrieved 20 January 2018. ^ "Vivendi's Gameloft takeover may spark resignation of Ubisoft co-founder". arstechnica.com. Retrieved 20 January 2018. ^ "Gameloft CEO Michel Guillemot Defiant In Email To Staff, Will Step Down June 29". Game Informer. Retrieved 20 January 2018. ^ Frank, Allegra (1 June 2016). "Report: Gameloft CEO to step down following Vivendi takeover (update)". Polygon. Retrieved 20 January 2018. ^ Good, Owen S. (8 June 2016). "Vivendi completes takeover of Gameloft as Guillemots sell stake". Polygon. Retrieved 20 January 2018. ^ "Ubisoft founders to sell all remaining control in Gameloft to Vivendi". destructoid.com. Retrieved 20 January 2018. ^ "Gameloft CEO to step down, Vivendi issues letter to employees". gamesindustry.biz. Retrieved 20 January 2018. ^ Paget, Mat (8 June 2016). "Vivendi to Buy Remaining Control of Gameloft as Guillemots Agree to Sell". gamespot.com. Retrieved 20 January 2018. ^ "Vivendi COO Stephane Roussel named Gameloft CEO". gamesindustry.biz. Retrieved 20 January 2018. ^ "Gameloft's board resigns, names new boss". 29 June 2016. Retrieved 20 January 2018 – via Reuters. ^ "Privacy Notice". Gameloft. Retrieved 27 March 2019. ^ "Former Gameloft Auckland head studio programmer calls working conditions 'dangerous'". engadget.com. Retrieved 20 January 2018. ^ "Gameloft creates 150 jobs with New Orleans studio". gamesindustry.biz. Retrieved 20 January 2018. ^ Cifaldi, Frank. "250 out of work as Gameloft suddenly shuts down its India studio [Updated]". gamasutra.com. Retrieved 20 January 2018. ^ emilygera (30 January 2013). "Gameloft shuts down India-based studio at a loss of 200 jobs". Polygon. Retrieved 20 January 2018. ^ "200 jobs lost as Gameloft closes Indian studio – MCV UK". mcvuk.com. 30 January 2013. Retrieved 20 January 2018. ^ Wawro, Alex. "Report: Gameloft lays off Tokyo devs weeks after debut game launch". gamasutra.com. Retrieved 20 January 2018. ^ Wawro, Alex. "Report: Gameloft lays off staff, shutters New York studio". gamasutra.com. Retrieved 20 January 2018. ^ "Gameloft Closes Their NYC Studio, Lays Off All Development Staff – TouchArcade". toucharcade.com. Retrieved 20 January 2018. ^ "Report: Gameloft closes Seattle studio". develop-online.net. Retrieved 20 January 2018. ^ Wawro, Alex. "Gameloft shutters another studio, this time in Seattle". gamasutra.com. Retrieved 20 January 2018. ^ "Gameloft shutters Seattle studio". gamesindustry.biz. Retrieved 20 January 2018. ^ "New Seattle studio for Gameloft". gamesindustry.biz. Retrieved 20 January 2018. ^ "Gameloft opens new Seattle studio". develop-online.net. Retrieved 20 January 2018. ^ "Another Gameloft studio shuts down - report - MCV UK". mcvuk.com. 24 September 2015. Retrieved 20 January 2018. ^ "Gameloft has closed seven unprofitable studios in 2015 - MCV UK". mcvuk.com. 11 September 2015. Retrieved 20 January 2018. ^ "Gameloft has closed seven studios so far in 2015". develop-online.net. Retrieved 20 January 2018. ^ Wawro, Alex. "'Disappointing' revenues account for Gameloft shuttering 7 studios". gamasutra.com. Retrieved 20 January 2018. ^ "Gameloft has closed seven studios in 2015". gamesindustry.biz. Retrieved 20 January 2018. ^ Kerr, Chris. "Gameloft opens Nigerian office for regional expansion". gamasutra.com. Retrieved 20 January 2018. ^ Nutt, Christian. "Gameloft shuts down New Zealand studio". gamasutra.com. Retrieved 20 January 2018. ^ "160 jobs cut as Gameloft closes New Zealand studio". gamesindustry.biz. Retrieved 20 January 2018. ^ "Gameloft closure see New Zealand lose its largest studio". develop-online.net. Retrieved 20 January 2018. ^ Wawro, Alex. "Report: Gameloft shuts down another studio, this time in Spain". gamasutra.com. Retrieved 20 January 2018. ^ "Gameloft appoints new UK and Ireland country manager". gamesindustry.biz. Retrieved 20 January 2018.